Originally published under the title "The Nature of Quaker Education." 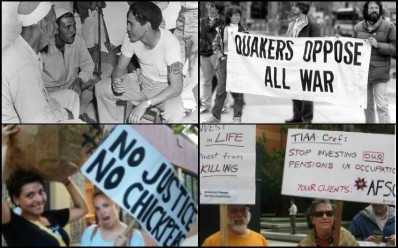 The Quakers have evolved over the years from opposing war to opposing Israel's existence. Unwittingly, Friends' Central School in Wynnewood, PA, a well-regarded Quaker establishment, has once again come under fire for its ties to the Boycott, Divestment and Sanctions (BDS) movement supported by the American Friends Service Committee (AFSC). The Quakers play a leading role supporting BDS on university campuses. Enter Sa'ed Atshan, an assistant professor of peace and conflict studies at Swarthmore College who is also, not surprisingly, a well-known advocate for BDS. Atshan had been set to appear at Friends' Central but his talk was canceled after his BDS ties were exposed to the administration by parents who found the scheduled presentation to be biased and one-sided. Atshan is a poster child for Quaker education, an alum of the Quaker school in Ramallah who now teaches for the same Quaker school he attended as an undergraduate. In many regards, he represents the Quaker echo chamber regarding the Israeli-Palestinian conflict that ensures that only the Palestinian narrative will be voiced. 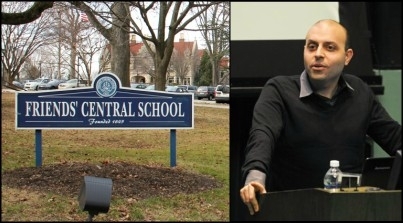 Friends' Central canceled an appearance by Swarthmore College professor Sa'ed Atshan, a staunch BDS advocate, in February. Predictably, once Atshan's appearance was canceled, students protested; some expressed their "disappointment and dismay" while others walked out of the meeting after the announcement. Jewish students and parents will thus bear the blame for the cancellation. But the fact is that they fell into a not very clever trap: Either shut up and accept a biased speaker, or protest and take the heat, whether the talk was canceled or not. This is one of the basic tricks of the BDS movement. The once-noble American Friends Service Committee has embraced an ignoble cause.